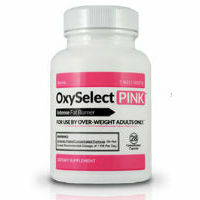 OxySelect Pink is a type of nonprescription weight loss pill that is marketed at women who are seeking a better way to be able to shed the extra weight. 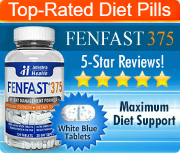 It is described as being a product that is made specifically for the needs of female dieters, claiming to be “everything you ever wanted in a diet pill”. Although this may seem to be quite the dramatic statement by a diet pill, it is far from uncommon. Therefore, it will take a little bit of extra investigation into the claims and formula of the product before it can be determined whether or not it is actually true in this case. If this product was actually capable of keeping that promise, it could actually be extremely worthwhile for women who are trying to lose weight, regardless of the price. The first step to determining if this could be the case – after speaking to a doctor, of course – is to look at the ingredients that are included in the product. According to the official website at the time that this review was written, the ingredients that make up this product include: Chromax, Razberi-K, Irvingia Gabonensis, CoQ10, Green Coffee Bean Extract, and Vitamin D.
This does not make the product look all that promising as the majority of the ingredients in this product – including chromax, razberi-k, irvingia gabonensis, and green coffee bean extract, have claims associated with them that are based more on hype than on science. The first two ingredients are versions of chromium and raspberry ketones. When it comes to the former of those two, the Mayo Clinic writes that far more study would be required before any claims could be made about its ability to encourage weight loss. 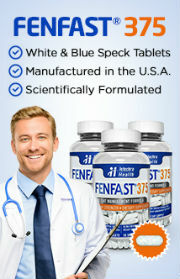 The second ingredient has also undergone only limited study, though it has been praised by big names, including Dr. Oz. That said, he has also given his applause to Irvingia Gabonensis (also known as African Mango) and green coffee bean extract, despite the very limited scientific evidence that exists to support his approval. All of these ingredients do appear to be quite safe, regardless of whether or not they work. Green coffee bean extract does contain caffeine, but it is quite low on the ingredients list, which suggests that it may not be powerful enough to produce the unwanted side effects that are sometimes linked to stimulants such as caffeine. Overall, it appears as though this product would likely fall short of its promise.